On the map above you see the closest beaches to our house. With the “red way” you’ll come through the campsite directly to Slana Bay, where you can choose between peeble or concrete beaches. There is also a restaurant, a cafe-bar and beach equipment for rent. 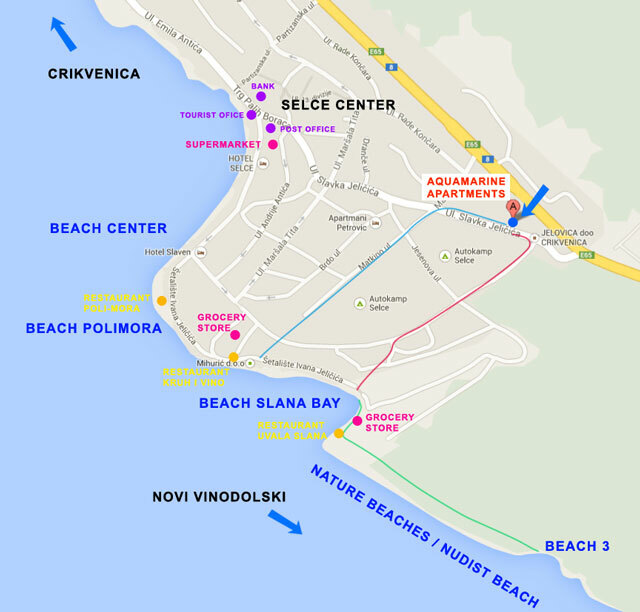 If you walk the promenade further in direction of center of Selce, you’ll find beaches along the whole way. 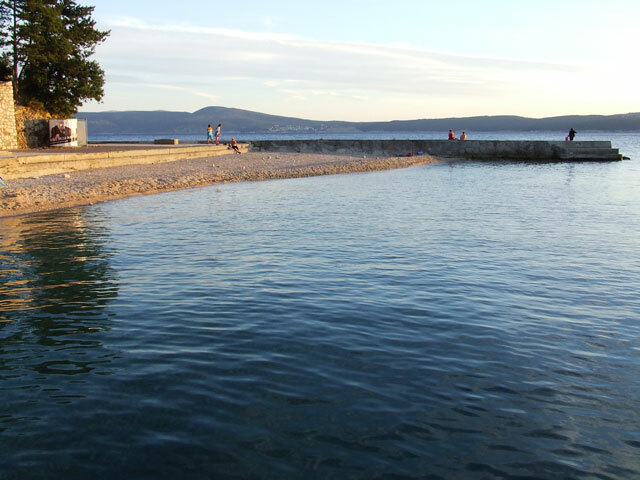 The entire coast of Selce and further in direction of Crikvenica is a beach, so you can take a bath wherever you like. 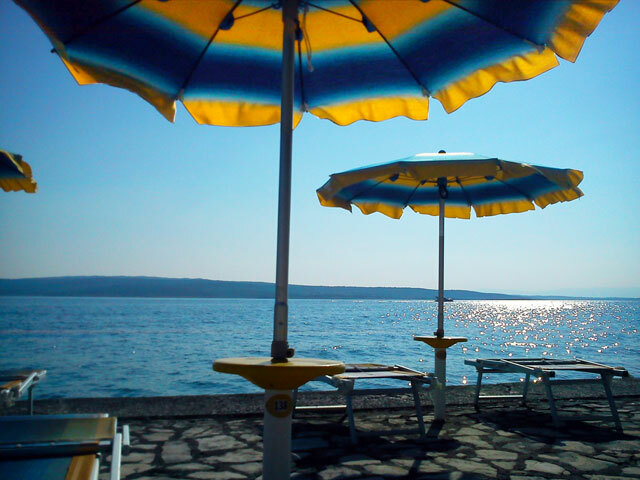 Restaurant “Polimora” is a great place to rest in the shade and right there is a nice concrete beach. 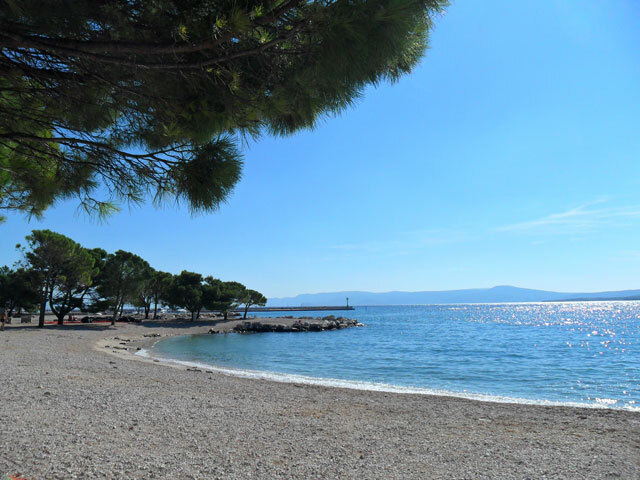 Little further you’ll find a sandy beach and some more pebble beaches. 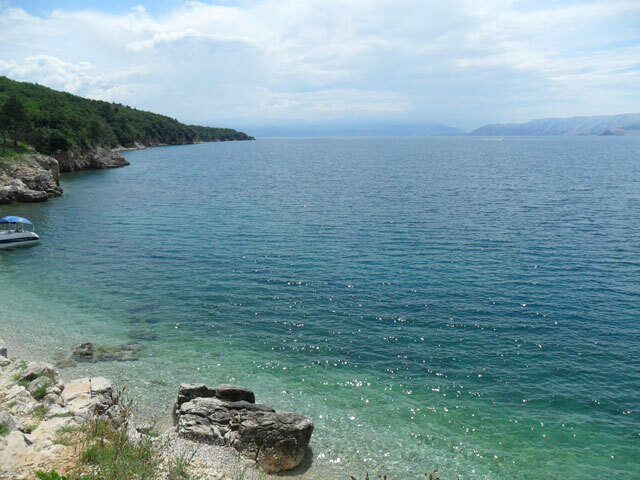 In the opposite direction, from the end of Selce and Slana Bay towards Novi Vinodolski you’ll find natural beaches. If you follow the “green way”, you’ll come to the beach nr. 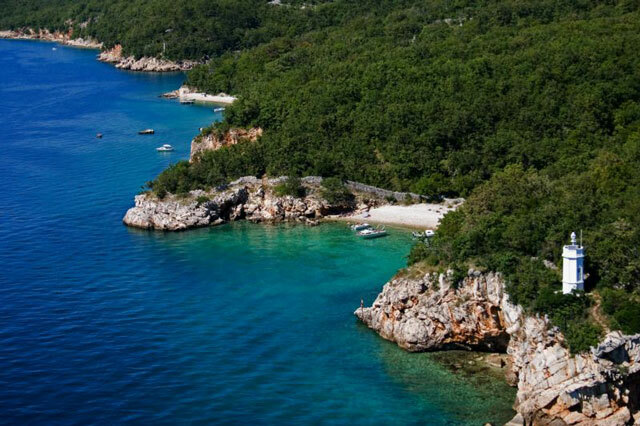 3 – a beautiful secluded natural beach where you won’t hear a sound of civilization or see anything but nature. The way starts with the stairs before the restaurant at the end of the Slana Bay. There is a marking on the stairs (a red dot), meaning that this way is a part of a hikers trail. 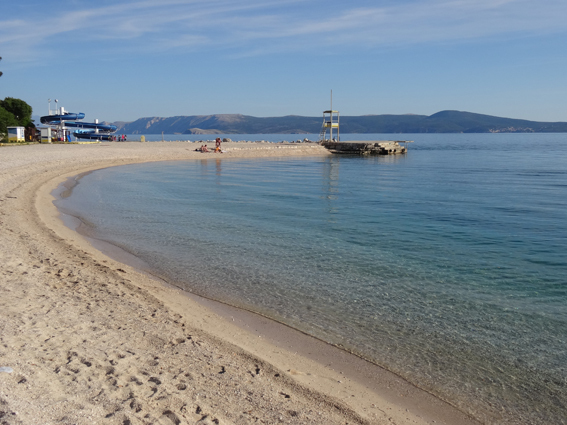 The walk from the restaurant to the beach is not longer than 10 min., but bear in mind that on that beach you can’t buy drinks or food, so be sure to bring your supplies! Also, you’ll be walking along a hiking trail, so be sure to take some safe footwear – flip-flops are not the best choice here! 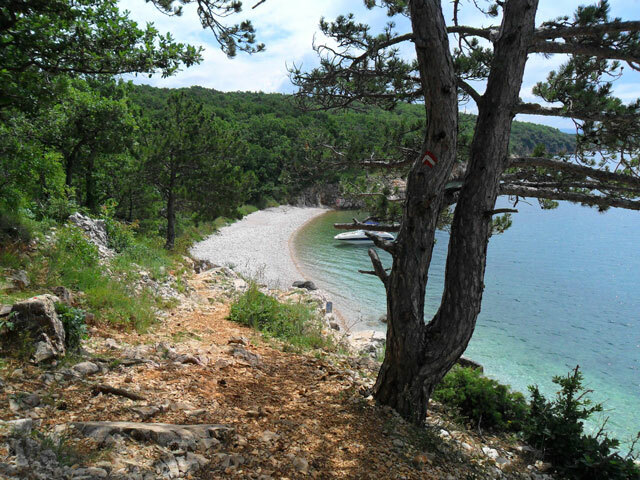 The coastal area between Selce and Novi Vinodolski is an intact nature zone, and there are more beautiful nature beaches in this area, which are easiest to reach by boat. 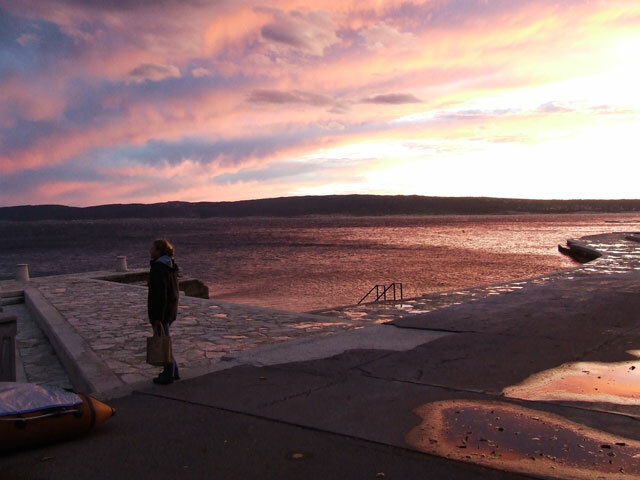 There is a possibility to rent a boat in Selce. 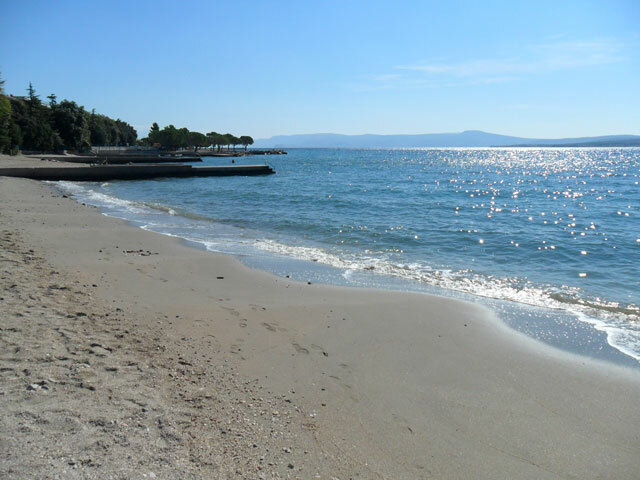 Basically the whole coast between Selce and Crikvenica (and also further to Dramalj) is a string of continuous big and small beaches, so you can easily find your place in the sun. 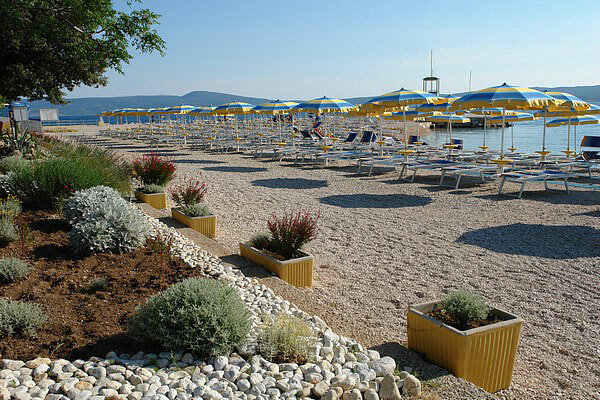 In Crikvenica there are many big pebble beaches, and there is also a big sandy beach ideal for kids (entrance fee). You can go by car, drive a bike or take a tourist train on the promenade. 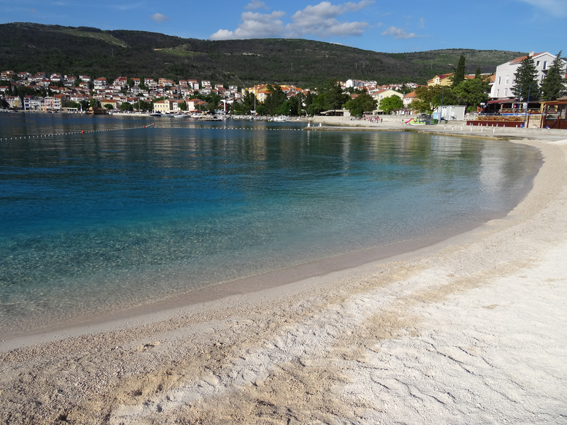 Novi Vinodolski also has nice town beaches. 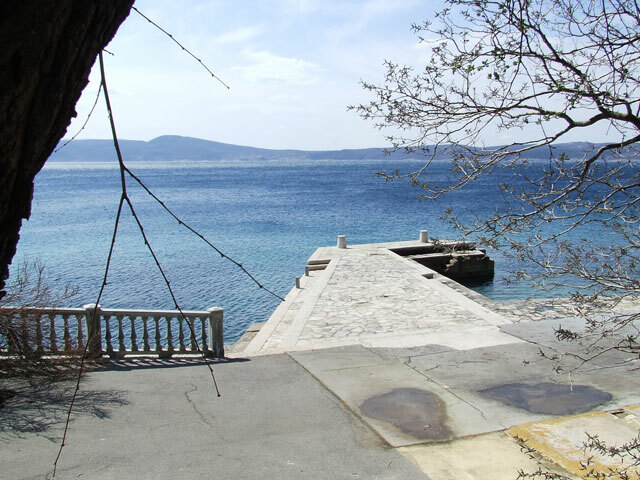 Drive to Novi Vinodolski (5 km) and just before the town and the harbor turn right, on a street along the coast that leads back in the direction of Selce (Obala Petra Krešimira 4). It’s a beautiful walk, and at the end of the street you’ll find a very nice restaurant with a stunning view. Little further is a big pebble beach. 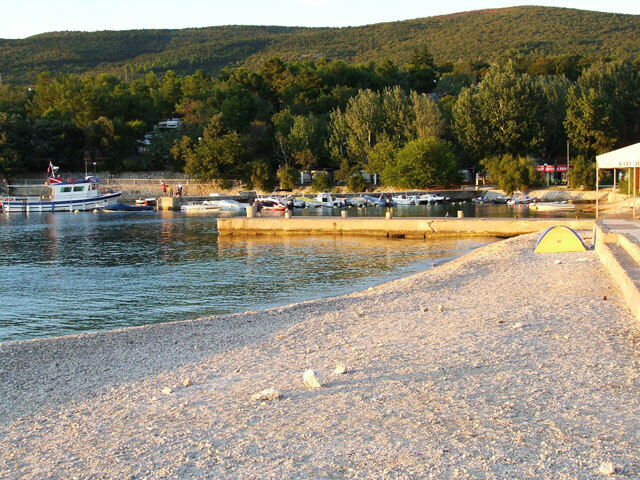 In the opposite direction, after you pass the town and the town harbor, along Obala Kneza Domagoja are some quiet beaches, and along Obala Kneza Branimira street are town beaches with many restaurants, bars and fast foods. 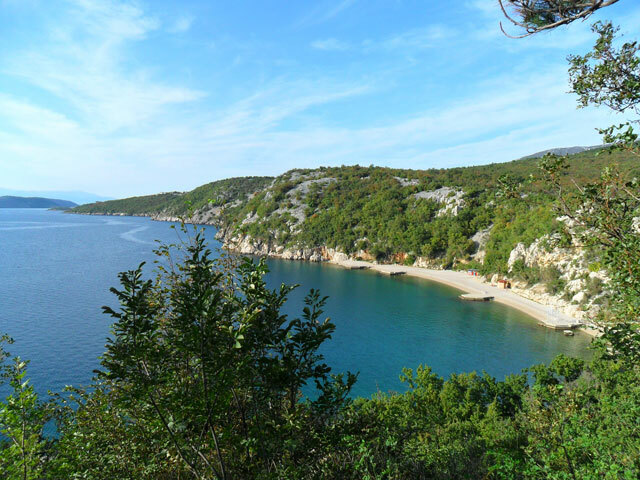 This beautiful beach is on Kačjak, a small peninsula in Dramalj. 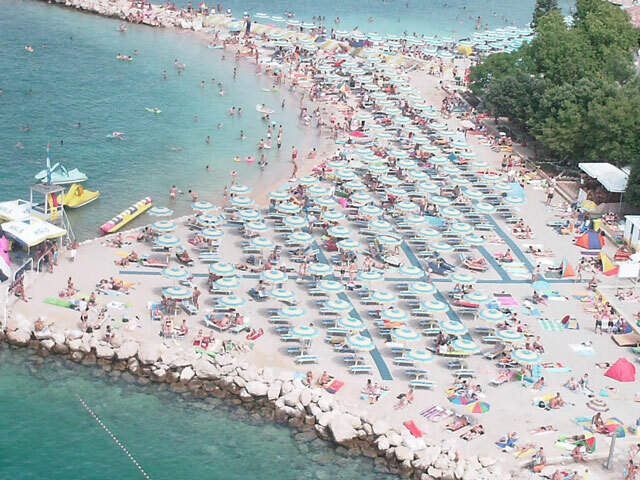 There is a restaurant and also some cafe-bars on the beach. Kačjak you can reach by car (15 min), bike or tourist train.